The region has seen 76 sales this year, compared to 180 a year ago. A sold sign is shown in front of west-end Toronto homes Sunday, April 9, 2017. Luxury home sales in the Toronto, Oakville and Hamilton-Burlington areas have fallen by 60 per cent, RE/MAX says. 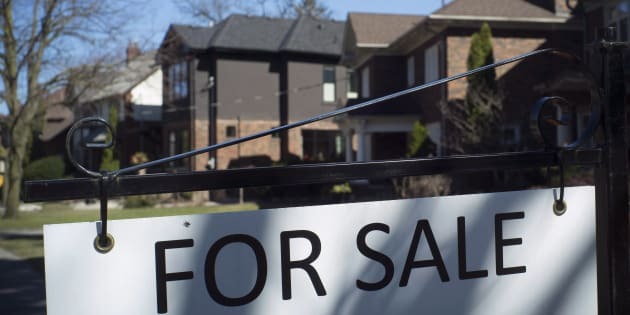 TORONTO — Luxury home sales in the Greater Toronto Area, Oakville and Hamilton-Burlington have fallen by almost 60 per cent year-over-year, according to a RE/MAX report.